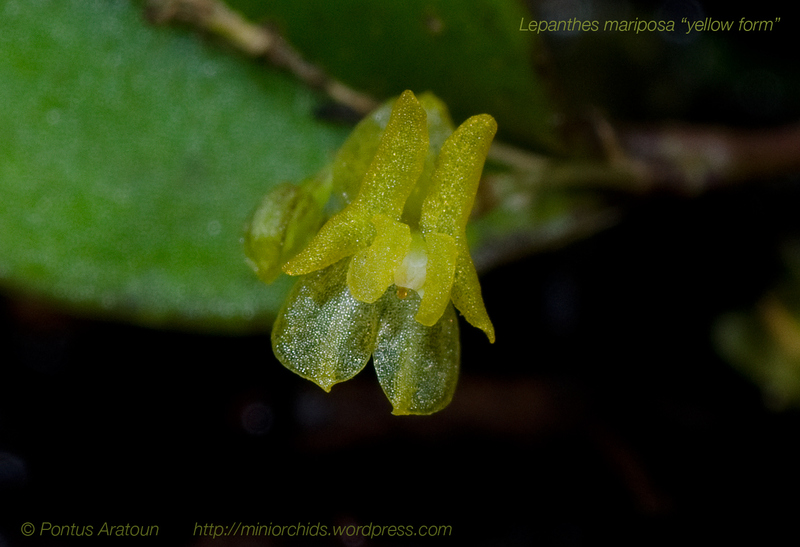 Lepanthes mariposa – Yellow color form. This is the Yellow form of Lepanthes mariposa. Grows in Costa Rica and Panama. The first time the yellow color form was found in Costa Rica was in 2010. 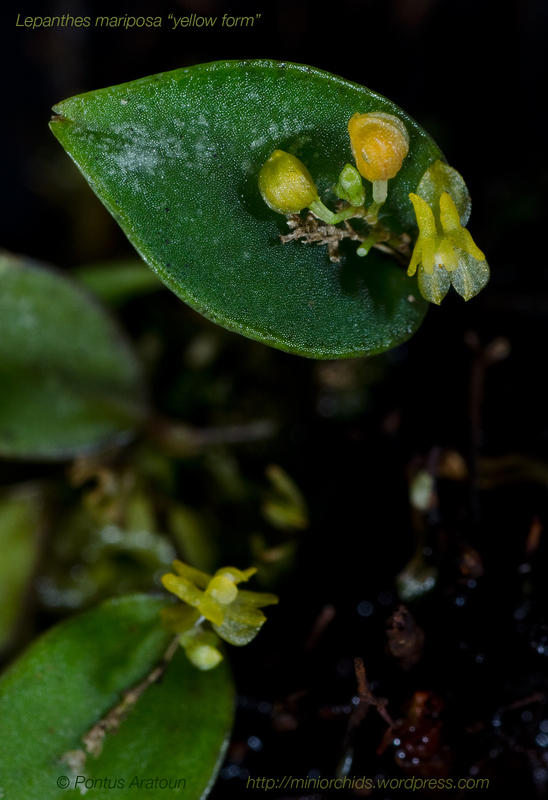 Tiny flowers at about 2mm.